Harry Potter series author JK Rowling has hit back at an angry "fan" on social media site Twitter after the user chided her for revealing Dumbledore is gay. Rowling's writing is being discussed in relation to her recent donation of £1 million ($1.6 million) to the "Better Together" campaign opposing Scottish Independence. 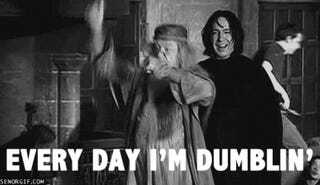 Once u revealed Dumbledore was homosexual I stopped being a fan. Nice how u blindsided us with that one. Enjoy your billion $ (sic). According to the Independent, the Harry Potter author was referring to a man who attempted to fund a campaign pressuring the Scottish parliament not to repeal Section 2A of the Local Government Act. That act made it so local governments "shall not intentionally promote homosexuality or publish material with the intention of promoting homosexuality" or "promote the teaching in any maintained school of the acceptability of homosexuality as a pretended family relationship." It was repealed in 2000 in Scotland and in 2003 in England and Wales (it never applied in Northern Ireland at all). The Independent also reports that Rowling has received a barrage of horrific Twitter trolling over her pro-Union stance and her birth heritage. She has lived in Scotland for over two decades, but she was born in England. Sure enough, nationalists who Rowling described as "Death Eaterish" for "judging [her] 'insufficiently Scottish'" scrambled online to tell her to "get to f***", calling her "politically corrupt", a "b****" and a "c***". Andy Bruce wrote: "Another filthy rich person backs the UK staying together. What a surprise. F*** off JK Rowling, you absolute goon. According to the Daily Record, Tracey-Anne McDonald, from Glasgow, wrote: "I quite liked JK Rowling being the creator of Harry Potter & that but she can take herself to f*** with her better together p*** #VOTEAYE." Because I'm so totally surprised by a successful woman with a political position being subjected to gendered insults... NOT. 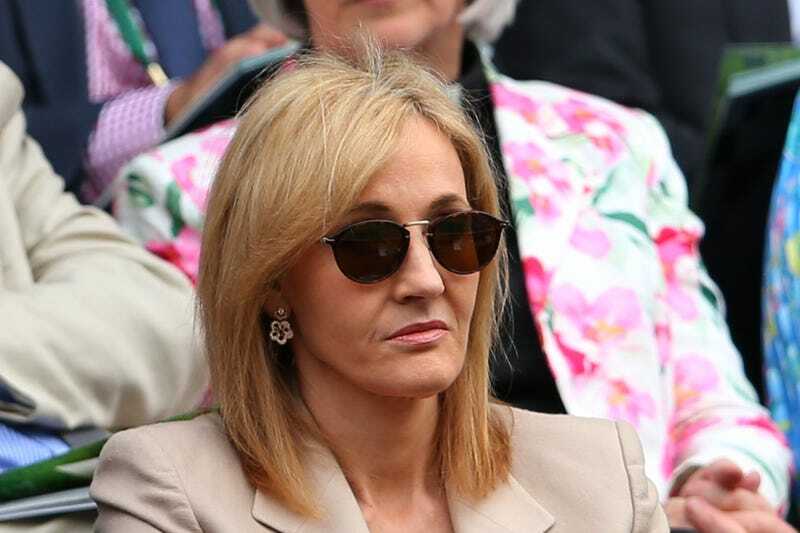 At least it seems like Rowling has the appropriate response: Deal with it.